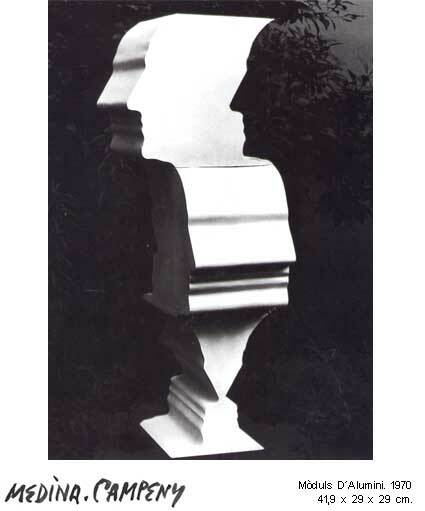 Our sculptor takes as a basis, established formal elements he follows his lines,his moulds, and his models, but at a given moment the sense and intention of these change radically, the huge scale itself suggests to the spectator a dimension other than the conventional. 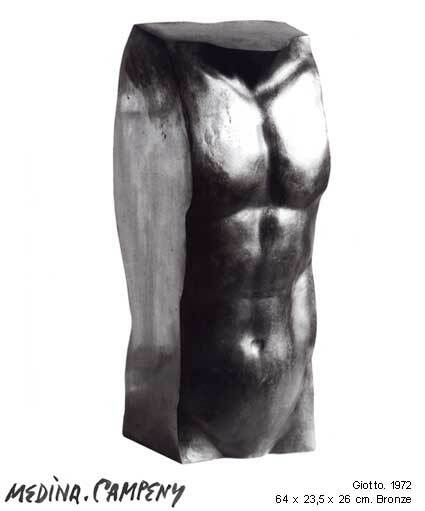 A tremendously sensual torso, aptly twisted, becomes a barley- sugar column and perhaps simply an evocative form. The sensual becomes ascetic thanks to the intention with which the artist has informed the work. Which methodology does Medina-Campeny use to introduce into his work this “irregularity” that transforms it? The answer is: surrealism, not to flourish the unconscious that perturbs him, but to organise the formal moulds in circulation, utilizing the unconscious.